Well, here I am again, catching up with posts. I tried so hard to do a 31 day feature...but moving & all that jazz...then, this weekend (Fri-Sun) Zach & I were both sick. I was horrible & gross. Both of us, laid up in bed coughing & sleeping it was horrible. He's all better today but I'm still overcoming mine. I despise being sick. I am ok with it for the first like two days...then I just get frustrated because I can't get anything done! So here I am on day 4 still feeling crappy. But I've got work to do so this cold better back off! 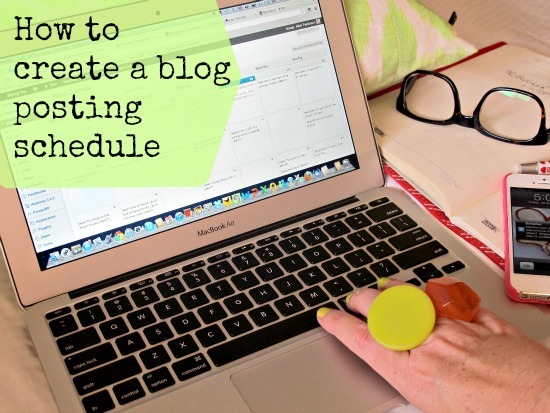 Another example of creating a blog posting schedule from Styling You. I really like seeing how others take on this crazy thing called blogging. I think it's great to see the same thing from a few angles. I don't think I've mentioned all the awesome tutorials Kira has going on over at Her New Leaf. She's super awesome & took on her own blog re-design & learned a lot. I've been having fun sharing some nifty stuff with you all, even though I have to catch up sometimes!! !